“Thermal Comfort” is a buzzword of modern home building and renovation, aimed at making the environment as perfect as possible when it comes to the temperature of the home. This is done in two major ways: isolating the home against the outside temperature with insulation and airtight double/triple paned windows and doors, and through regulating the internal temperature through heating and air conditioning, ideally with an HVAC. All this technology however can lead to complications that can damage your home and make life miserable for you and your family. With the airtight system of the modern home, things are entering the environment, but not leaving. This leads to a closed system, to a home that cannot breathe. The largest concern for such a home is the buildup of evaporated water from activities such as cooking, cleaning, and breathing: water that cannot leave your closed system. If your home is suffering from humidity, condensation, allergies, or mold growth, you might have a home that needs ventilation. The unregulated and unintentional escape of air is air leakage. Drafts, rattling windows, and suddenly freezing rooms in winter are all examples of this. When air, especially hot air, is leaking out, your heating or cooling systems have to work that much harder to reheat the home, and that costs you money. Ventilation comes in two forms: direct ventilation, such as opening a window, and indirect ventilation, which is designed to allow the flow of air and humidity and control temperature loss or gain. The largest form of indirect ventilation should be your roof. Humidity is also bad news for your roof, and a roof without ventilation can cause humidity to condense on the interior and within the roof itself, leading to water damage and rot that might not be covered under your last roofing guarantee. Since the roof and attic are the main area for humidity to collect in a climate controlled home, it’s important to have airflow in the roof and a ventilation system to spread it around the home. In the roof there are two major points of ventilation, below the eaves and along the top-most point or ridge of the roof. Ventilation along the eaves is done with permeable (allows humidity to through) ventilator strips right beneath the eave, or with tile vents set at regular intervals. At the most basic one ventilation set on either side of the attic can allow air to enter from one side and leave through the other, taking humidity and other environmental buildup with it. However, if you’ve got a crowded or cramped attic, it’s time to add a ridge vent. Installing a similar ventilation (continuous ventilation strip, or ridge or tile vents) on the ridge of the attic and roof (the topmost joint of the triangle) allows hot, humid-laden air to leave through the roof, and that draws in fresh air down at the eaves, allows for a continues flow of air. If you think your home is short on breath, or want to make sure your new room doesn’t suffer from this issue, contact All Weather Tite. 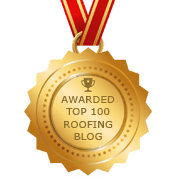 Our experts can provide a free estimate, explain proper roof ventilation and get to the bottom of any current ventilation issues with your roof. Posted in Roofing, Roofing Systems, Ventilation.